It can be argued that the bows of François Xavier Tourte (1747-1835) altered the development of string music composition more than Antonio Stradivari. That great Cremonese luthier, in his unfailingly perfect craftsmanship, focused his technical innovations in the delivery of evermore penetrating sound. One hundred years after Stradivari, Tourte shared in the gift of technical mastery, yet his model of the “modern” bow was much more of a departure from the status quo than the earlier works of Stradivari. New bow models rapidly evolved during Tourte’s lifetime. As his dates indicate, he was born at the very end of an epoch when simple galant music had begun to replace the more complex polyphonies of the high Baroque Era. Music of the Classical Era called for clarity of structure, style, and sound. 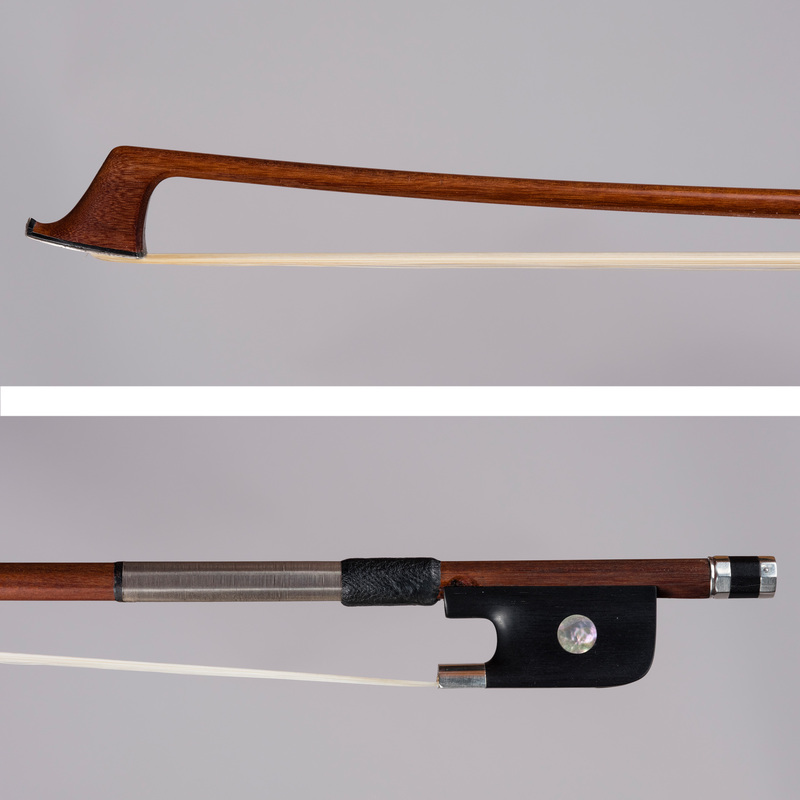 Tourte and his contemporaries were prolific in servicing musicians with bows made from a wide variety of materials, stick lengths, and head and frog styles--easily seen today in contemporary reference books. Although the discussion is ongoing, several factors came together relatively quickly in the mind and hands of François Tourte between 1770 and 1790. Musicians demanded different types of bows for evolving musical styles, especially the sustained lyrical lines of opera and the pyrotechnical accomplishments of Baroque violinists. The Brazilian wood pernambuco had been in Europe for nearly two centuries as a dyewood and a nearly indestructible packing material. Only recently had this dense and unforgiving material been the subject of bow experimentations, as a possible substitute for snakewood and other tropical species. Tourte’s earliest training as a clockmaker gave him the skills to work not only with metals but other dense materials in minute detail. The 1783 arrival in Paris of the Italian virtuoso Giovanni Battista Viotti created a laboratory of experimentation between musician and craftsman. Gradually, every aspect of the bow evolved into what we know as the modern bow: the Tourte model. The cello bow presented here dates from ca. 1820, at the cusp of the Romantic Era and the final epoch of Tourte’s long and astonishing production. The choice of pernambuco is excellent, and the planing of the round stick still shows a steady and meticulous hand. Remarkably, the silver tip is the original one Tourte affixed 200 years ago with 5 tiny pins. The adjuster is also original. The frog is a modern copy based on the original. Among the many hands this remarkable bow has passed through, the extraordinary teacher and performer Karl Fruh is amongst the most notable. This bow is certified by Albert Caressa of Paris and Isaac Salchow of New York.